Join us in celebrating the arrival of 2,500 US Navy Sailors to Downtown San Pedro on Thursday, September 1, 2016. The “block party” will feature three stages of live music, street performers, our famous red trolley, food trucks, art galleries and more! Street closures will include three blocks on both 6th and 7th Streets between Centre Street and Pacific Avenue. Parking is located at 222 W. 6th Street, San Pedro CA, 90731. We are excited and thrilled to welcome all the sailors for Los Angeles Fleet Week that we’re throwing a big block party! We want to welcome everyone to San Pedro Historic Downtown Waterfront (PBID). We also want to thank the Port of Los Angeles, Councilman Joe Buscaino, Pacific Battleship Center – Battleship USS Iowa, the San Pedro Chamber of Commerce and all of our partners for bringing LA Fleet Week to San Pedro. “We’re going to be promoting this as one of the ‘must-see, must-do’ events,” Mayor Eric Garcetti said in a press event in regards to the inaugural LA Fleet Week announcement. LA Fleet Week runs from September 2 – 5, 2016. Visit https://www.LAFleetWeek.com/ for more information. Hosted and Sponsored by San Pedro Property Owners’ Alliance (PBID) and Port of Los Angeles. This program is made possible in part by a grant from the the California Arts Council, a state agency, and the City of Los Angeles, Department of Cultural Affairs, City of Los Angeles. Join Us for Coffee Talk with Immy from Rwanda! Listen to Immy Kamarade tell her stories of helping to rebuild Rwanda through specialty coffee following the 1994 genocide that took 800,000 lives in 100 days. We’re honored to invite you to come and meet an extraordinary woman and friend of Mireya’s. Immy is currently the chapter president for The International Women’s Coffee Alliance (IWCA) in Rwanda. The IWCA’s mission is to empower women in the coffee sector through training, networking and new trade development. Check out this blog post to read more about the incredible Rwandan coffee that we have in stock at Jones…ready for you to try! We’ll see you on Wednesday at 1:00pm! Please help us spread the word. ITT Tech halts enrollment amid ban on federal aid. Other institutions are experiencing a similar fate as the federal government increases scrutiny on for profit institutions. Early this week California banned ITT from accepting new student enrollment at 15 locations. Earlier this year Massachusetts Attorney General Muara Healey sued ITT for deceptive practices and abuses. Not sure what this means for existing students and aid that is being distributed. It appears that ITT Technical Institute is in trouble. According to Wikipedia, ITT was established in 1969. With 130 campuses across the nation. Headquarters located in Carmel, Indiana. ITT Educational Services, Inc. stock symbol ESI traded as high as $72.16 in August 2011. Today August 29, 2016, the stock is trading below $0.45 cents! This is the investor site, parent company site. the 3rd Annual Connect Week, hosted by Innovate Pasadena, has something for you! Tickets for The 6th Annual Taste of Mexico Culinary Festival on Saturday, October 15 are here! LA‘s largest all-inclusive Mexican tasting event just got even better. The Taste of Mexico returns for its 6th Annual Culinary Festival taking the best Mexican food in Southern California to the next level by partnering with The State of Baja California, bringing the best of Baja to LA: Chefs, Baja beer, wine and more. Are you ready? Get your tickets to enjoy unlimited tastings from 35+ restaurants, the best of Baja feat. the Baja Pavilion, Baja wineries, Northgate Gonzalez Market‘s Deli, Cerveza Estrella, I Love Micheladas straight from the Michelada Mobil, craft cocktails from our Mezcal corridor and Tequila Bar, live entertainment and more! LA‘s largest all-inclusive Mexican tasting event just got even better! The Taste of Mexico returns for its 6th Annual Taste of Mexico Culinary Festival taking the most authentic Mexican food in Southern California to the next level by partnering with The State of Baja California, bringing the best of Baja to LA: Chefs, Mexican craft beer, wine and more. Mark your calendars! This year’s festival is on Saturday, October 15th, 2016 in the beautiful courtyard of LA Plaza de Cultura y Artes, LA’s dedicated museum to Mexican American history and culture located in the heart of Downtown LA. The perfect setting for 5,000 guests to enjoy unlimited tastings from 35+ restaurants, the best of Baja feat. in the Baja Pavilion, partners booths, Baja wineries, Estrella Beer, Micheladas straight from the Michelada Mobil, craft cocktails from our Mezcalería and Tequila Bar, live entertainment and more! This year’s Taste of Mexico festival kicks off with our VIP Hour beginning at 6:00PM (doors at 5:00PM) and General Admission opens at 7:00PM. The event goes until 11PM! WE HAVE THE COOLEST SPONSORS, CHECK OUT THE LINEUP! https://www.thetasteofmexico.org/2016-sponsors/. The the Taste of Mexico Association is proud to partner only with trusted brands and companies who share the Association’s values. There are no extra charges for food and drink inside the event. Both VIP & GA tickets include all food and drink + access to entertainment. General Admission begins at 7pm (doors at 6pm). No GA ticket holders will be admitted prior to 7pm. All Atendees consume food and beverages at the event at their own risk and hold The Taste of Mexico Association, Inc. harmless of any incidents with food related allergies. Leave your car at home… Go Metro! Take Metro to Union Station (5 min. walk to LA Plaza). Get your tickets early, we sell out every year. See you at #TOM2016! Facebook cloning of accounts has been going on for years, recently the number of people who have had their accounts cloned appears to be increasing. Although Facebook is not reporting any stats you probably know someone who has had their Facebook account cloned. Some tips for preventing your facebook account from getting cloned include the following. Post on your facebook page so your friends will know not to accept friend requests from anyone attempting to send friend requests to all your existing friends. Privacy options, change them so only your friends can see your photo albums. Privacy options, change so only friends can see your posts. Very important delete “friends” you really don’t know. And do not accept friend requests from people you don’t know. Reporting fake or cloned accounts is important. You can report a fake or cloned profile by clicking on the bottom right of the cover photo and select “Report” and follow directions from there. Bring Your Dream of Starting Your Own Business to Life. Event in Pasadena. Come taste the best Bloody Mary’s in the San Gabriel Valley! Join us for a totally awesome TRIVIA NIGHT August 25, 2016 at 7pm! Entry is FREE! Bring a group of your friends to Brookside Trivia Night for awesome food and drink specials and a chance to win rad prizes! There will be amazing beer specials, late night menu and prizes for the biggest brainiacs! Join us for a totally awesome TRIVIA NIGHT August 25, 2016 at 7pm! There will be amazing beer specials, late night menu and prizes for the biggest brainiacs! No substitions on Haus Dogs (except to veggie dog). Only the Haus Dogs are free. Limit 1 per person at the register. Guests can return to the line for another. Dog Haus is a craft casual hot dog concept known for its gourmet takes on hot dogs, sausages and burgers; premium shakes and soft-serve ice cream; and beer program that spotlights local brews. Founded by partners Hagop Giragossian, Quasim Riaz and André Vener, three friends who share a passion for creativity, quality and commitment to community, the first Dog Haus opened in Pasadena, California in 2010. The fast casual concept has since garnered critical acclaim and national attention for its signature all beef skinless Haus Dogs, hand crafted proprietary Haus Sausages and premium Haus Burgers made from humanely raised cattle, all served on grilled Hawaiian rolls. Open for lunch and dinner daily, guests can choose from signature, one-of-kind Haus creations or customize their own from a selection of more than 30+ quality toppings. Dog Haus currently has 20 stores open in five states with confirmed expansion of more than 150 franchise locations in Arizona, California, Colorado, Illinois, Maryland, Minnesota, Nevada, Ohio, Texas and Utah. For more information visit https://doghaus.com/ or find us on Facebook, Twitter or Instagram at DogHausDogs. The biggest technology companies are forming an alliance to stop the scourge of robocalling. Daily we are bombarded by unsolicited callers, trying to sell something, or con us into the latest scheme. Pretending to be the IRS or some lost relative in a foreign country jailed needing money to be freed. The stories are endless and the US Government along with top telecommunication companies and tech companies are working to draw a line in the sand and stop the spread and abuse of telecommunication voice and data networks. Many have cut services because of the abuse of solicitors. Many are trapped into changing their numbers because of spoofing where scammers are using an innocent person’s number and making calls. The trend of many to cut services will continue as the abuse of data voice networks continues. It is in the best interest of all legitimate parties to put systems in place to stop this scourge. It is long overdue, but welcomed to see that the repeated complaining by consumers has moved those with the power to stop this to take action. We should see some developments in the next couple of months, as soon as mid October 2016. We can only imagine scammers are working on ways around the systems being discussed and finding a way to hack into legitimate networks and use their networks for their scams. Whatever is done will to stop the abuse is better than we have today, which basically ranges from services like nomorobo to blocking a number on your cell phone, or blocking private callers. There are other devices are services, but when scammers are spoofing a real person’s number it can be very difficult to stop. This is why technology needs to be developed to introduce another layer of verification and call origination, where a scammer cannot just pick a number and assign it to their caller id and trick people. The IRS probably has some of the most notable caller complaints, with calls coming from overseas of so called IRS agents, threatening legal action, and requesting that money be sent to avoid incarceration. Kudos to the US Government and tech companies for stepping it up and putting a stop to this. With hundreds working to find a solution, it shouldn’t be hard to put a stop to the criminals. EastSide Food Festival is back for our 3rd annual event Sunday October 2nd, 2016. Discounted Early Bird Tickets are on sale now! Don’t miss it, this discount that expires Tuesday, Aug 30th at noon! Featuring the perfect mix of your favorite local LA Eastside restaurants and the best undiscovered establishments around. Not to mention, food demonstrations (we have a grilling demonstration stage this year! ), discussion panels, expert Q&As, live DJs, and more. The full list of vendors is TBA, but we can let you in on a few secrets – some of the participating vendors this year include EastSide Food Festival veterans such as Little Beast, Homestate, Jeni’s Ice Cream, Sticky Rice, Starry Kitchen as well as newcomers like Sawyer, Buttonmash, Knuckle and Claw, Same Same Thai, Pok Pok, Lord Jones Edibles with many more to be announced. Wine provided by Silverlake Wine Shop, craft beer poured by Angel City Brewery, and other delicious cocktails will be provided by Our/ Los Angeles Vodka, and Ventura Spirits. Once again, proceeds from the event will benefit PATH (People Assisting The Homeless), and this year’s lux lounges will be hosted by BRE Investments. Tickets include all-you-can-eat! Early Bird Discounts valid until 8/30 at noon. Watch the video from last year’s event here! For full information on this year’s event, visit us online. Hatch chiles are only here once a year—in August and September—and that’s why you might find us Hatch-heads going a little nuts. Grown exclusively in the Land of Enchantment (New Mexico), Hatch chiles have a reputation among foodies as the best peppers grown in the U.S. and some people say the world. The Hatch chile has the same shape as its Anaheim cousin, but has firmer flesh and a greater range of flavor, from mild to medium. It’s that strong New Mexico sun, those cool nights, and the mineral-rich soil that makes the flavor so distinct. Hatches are hardly ever eaten raw; it’s when they’re roasted that the smoky richness and depth of flavor really shine. If you buy them fresh, we recommend roasting over an open flame to get the absolute best flavor possible. Once roasted, they’re easy to seed and make a great Southwesterny addition to almost any dish. Hatches have a short harvest season—just six weeks! So come get them while they’re hot! With the help of Melissa’s Produce, eight exciting New Mexico Hatch Chile Roasting events are being held in front of select Bristol Farms stores. Although we will be roasting in eight locations only, product will be available in all stores starting August 8, 2016.We invite you c’mon down and awaken your senses with the world’s best chile! Click here for a pdf of our roasting dates and times. Get them while they’re hot! Available in store are mounds of fresh Hatch chiles in addition to roasted, conveniently pre-packed Hatch chiles in a variety of different heat levels. Grill them up and serve them hot on their own or tucked in a roll. These sausages are kickin’! Also, new to our meat departments this season, we’re proud to offer our Hatch Chile Stuffed Beef Flank Steak, and Hatch Chile Meatloaf, among many others. Stop by and speak with our friendly butchers for all the Hatch products we have to offer. The smoky, spicy flavor of roasted Hatch chiles elevates our traditional (and beloved) scone and cornbread. Perfect just as they are, but made even more delicious when you warm them up and add butter. We also love going spicy-sweet by slathering them with honey or maple syrup. Available for a limited time—don’t miss out! Served up in our café, our Hatch Chile Cheese Fries are just what you’ve been craving. Piled high French fries are topped with a smoky, spicy Hatch Chile fondue, fresh roasted and diced Hatch chiles, and vine-ripened tomato. It’s quite addicting, so be warned! We have a saying around here when it comes to Hatch; “It’s now or next year!”, and this statement couldn’t ring any more true than with our Hatch Potato Salad. If you are familiar with our regular potato salad, we start with the base and add fresh, roasted Hatch Chiles as well as dried Hatch Chile powder. Duane Gillis is a fourth generation farmer who grows 1,200 acres of authentic Hatch Chiles at Gillis Farms in Hatch, New Mexico. With a total of 3,300 acres of farmland, Duane also grows onions, squash, and other vegetable products. Duane’s unique drip irrigation method, as opposed to the furrow method where fields are flooded, feeds the plants just the right amount of water that they need and results in a chile with thick walls and perfect heat. Using the furrow method risks the plants being overwatered, which can prevent the chiles from developing the proper amount of heat. Temperature also plays an important role in the chile’s development; hot days and cool nights is the ideal climate for the perfect Hatch Chile. 1. To test the heat level of a chile, don’t bite the tip! The heat is retained within the veins of the chile, so the farther up you bite, the more accurate the heat measurement will be.2. Roasted chiles freeze better than fresh chiles. We recommend removing the seeds and outer skin of roasted chiles prior to freezing. Chiles can be frozen in an air-tight bag for up to two years. 3. Chiles get hotter when frozen! When chiles are frozen, they lose their moisture and the result is a more concentrated flavor in the chile. So, if you freeze a hot chile, it will be extra hot by the time it is enjoyed. Bristol Farms visited Duane and Gillis Farms just prior to the Hatch harvesting season to learn more about this year’s crop, growing practices, and to have some fun in the fields. We are all looking forward to our best season yet! The British alternative rock band Coldplay is coming to the Rose Bowl this weekend as part of their “A Head Full of Dreams” tour and a few Premium seats still remain for the Sunday show. Club seats are $180/ticket and come with exclusive Club lounge access, complimentary food and non-alcoholic beverages presented by Wolfgang Puck and Legends and a complimentary VIP parking pass for every four (4) seats purchased. 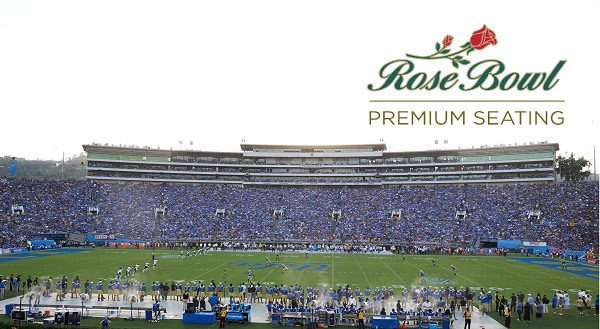 Contact the Rose Bowl Premium Sales office at 626-585-6800 or [email protected]rosebowlstadium.com to purchase your tickets today and catch this amazing show! Get ready for True Food Kitchen coming to Pasadena. Many months in the making, the new location is sure to be a hit with those looking for healthy dining options. According to the True Kitchen Facebook page, the Pasadena location is less than a month from opening. True Food Kitchen will be opening our newest location at 168 W. Colorado St. on September 13th. There are still jobs available at this new location, from bartender to pasty chef take a look here. There’s even a job fair scheduled. Can’t make it? Apply Online. Does your Dog Bark? Or Jump? Do you feel embarrassed with his behavior? For any dog lover, his/her dog is not less than a family person. With time, dogs have become an important part of human households, where they are seldom treated as working mates. Unlike people of the 18th century, dog owners of today consider their pets as one of their family members and go out of their way to provide the latter with the best of training, diet, grooming and care. A dog learns from every interaction it has with its environment. There are a variety of established methods of animal training procedures such as the Koehler method, motivational training, model-rival training, dominance-based training, and relationship-based training to name a few. The common characteristics of successful methods are knowing the animal’s attributes and personality, accurate timing of reinforcement and/or punishment and consistent communication. William Koehler was perhaps the first dog trainer who had encouraged dog owners to have a better bonding with their dogs. In fact, before that, dogs were considered as working animals, and were mostly kept in the backyard. His training methods helped dog owners transform these animals into household pets. It is he who introduced the leashes and collars and explained their importance. Training methods today, have no place for harsh punishments and losing temper. Fortunately, for the last few decades, canine psychology and behavior is being given more importance and based on such aspects, dog training is now about loads of patience and positive reinforcements. Dogs have their own set of behavioral problems. Lack of proper training methods may badly affect your dog’s behavior and turn your beloved pet into a disobedient, aggressive or unruly dog. As a dog owner you should be aware of these problems and train your dog accordingly. If your Dog or Puppy is driving you crazy with its excessive barking, whining or chewing, or if your dog is too aggressive and bites or growls at your visitors, you need an immediate remedy. Trainpetdog.com is one such dog training center that offers free online seminars where you may subscribe for free training course. Get Access to TrainPetDog Free Online Seminars and Subscribe to The FREE Training Course. TrainPetDog provides expert training and obedience tips for every breed of dog. From toy breeds to large working breeds, TrainPetDog have specific training techniques that will make your dog a well behaved, disciplined and obedient pet. They offer dog training, dog training tips, dog obedience training, dog grooming and exercise information to help your dog live a full and healthy life. To learn more on dog training, you can Get Access to Free Online Seminars and Subscribe to The FREE Training Course. Get an easy, effective Dog Training solution for him/her…Now! “Hair care” is an overall term for hygiene and cosmetology involving the hair which grows from the human scalp and to a lesser extent facial, pubic and other body hair. Hair care routines differ according to an individual’s culture and the physical characteristics of one’s hair. Care of the hair and care of the scalp skin may appear separate, but are actually intertwined because hair grows from beneath the skin. Scalp skin, just like any other skin on the body, must be kept healthy to ensure a healthy body and healthy hair production. If the scalp is cleaned regularly by those who have rough hair or have a hair-fall problem, it can result in loss of hair. However, not all scalp disorders are a result of bacterial infections. Some arise inexplicably, and often only the symptoms can be treated for management of the condition, for example: dandruff. No matter how strong and beautiful your hair appear to you, it is extremely important to pay careful attention to their hair care regimen to grow keep them at its best. Taking care of your hair becomes more important when you have a coarse, thin, curly, treated, damaged, dry, dull and oily hair. Hair Loss is not always genetic or inherited. With this kind of hair loss (androgenetic), you lose hair gradually and it will increase as you age. But, in some cases, other factors could lead to your hair falling out. It is especially likely that a non-genetic cause may be the culprit of hair loss if your once healthy hair suddenly and noticeably starts to fall out. This article introduces you to the one-shop-stop “Hair thickening” formula – Revivogen for both men and women. Whether you are experiencing a hair fall or you feel your hair is losing out on its thickness and density, Revivogen’s hair growth solution is for all who want to have thicker fuller hair. Regardless of the care you take to maintain the health of your hair, it undergoes a natural growth and death cycle based on your age, genetics, gender and the lifestyle you live. Revivogen MD is formulated for men and Revivogen Pro is formulated for women. Our product is not only used for people who have male pattern baldness but also for people who just have thin hair. In less than 90 days 90% of our customers see improvement in hair fullness. We have 88% success rate for people who use the product as instructed. This is why we offer a 90-day money back guarantee brands including Clearogen and REJUVE MD which are already popular on the market. 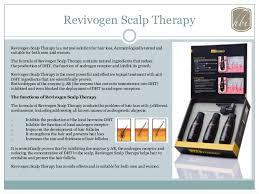 The patent pending Revivogen Scalp Therapy Anti-DHT Formula is a revolutionary, all-natural solution in the fight against hair loss. Revivogen is derived from organic plant oils and grains. It is used topically not orally, and has no side effects. Users of Revivogen describe their experience with the product in this video. You may choose to shop your REVIVOGEN products from a wide range of scalp therapy, bio-cleansing shampoo and hair thickening conditioner to experience the change you ever wished.